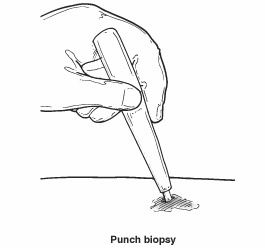 Patients should follow the instructions provided by the surgeon for care of the biopsy site. If the area has stitches, an appointment will be scheduled for their removal. It usually takes several days for the lab results to arrive at the surgeon’s office. If the patient has not heard about the results after 10 days, the surgeon’s office should be contacted. Biopsy results as well as additional treatment that may be required will generally be discussed.